Please watch on YouTube Direct, the video quality on this locations is horrendous most of the time: Supported by a huge crowd event organizer Shirley Samples sends a message to Stephen Harper & Global leaders "People Demand a Change Now". 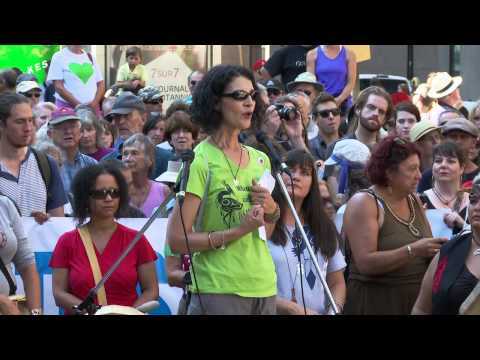 Excerpt from the Sept 21st 2014 Peoples Climate March in Vancouver BC, part of the world wide series of such rallies held on this same date. "Please Share for the World Cause"